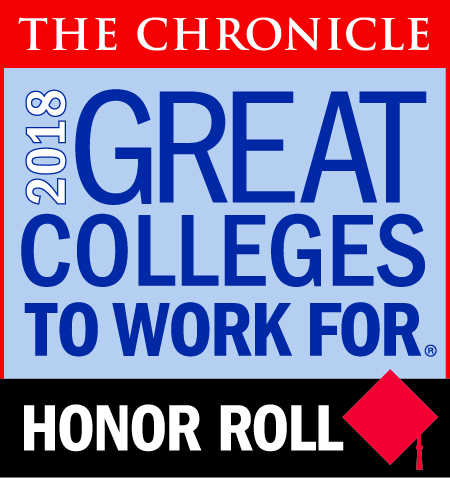 Illinois State University proved once again it is a “Great College to Work For.” The 2018 “Great Colleges to Work For” designation from the Chronicle of Higher Education recognizes institutions that have created exceptional work environments. The University earned the distinction for a fourth year in a row. 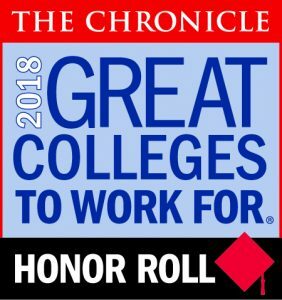 This year Illinois State exceeded the number of rankings received in the past to 11 categories, placing the University on the “Great College to Work For” honor roll. The categories include Collaborative Governance; Compensation and Benefits; Confidence in Senior Leadership; Facilities, Workspace, and Security; Job Satisfaction; Professional/Career Development Programs; Respect and Appreciation; Supervisor/Department Chair Relationship; Teaching Environment; Tenure Clarity and Process; and Work/Life Balance. The “Great Colleges to Work For” report for 2018 is based on a survey administered to a random sample of faculty and staff, as well as an institutional questionnaire that captured workplace practices and policies. The Chronicle published the full “Great Colleges to Work For” report in late July. I'm so proud to be an ISU alum!! !